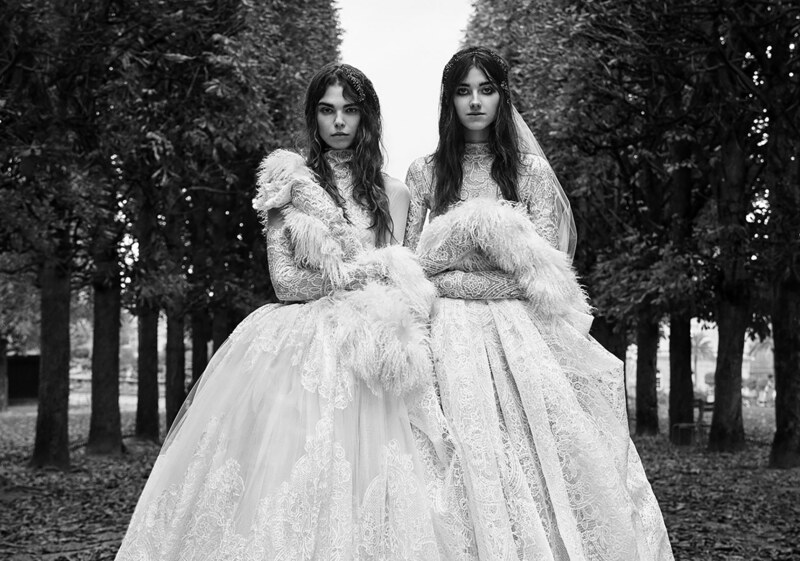 The Anne Barge Fall/Winter 2018 bridal collection is an interpretation of nature’s midnight garden. An escape into a fanciful garden that inspires all things feminine – a delicate tracery of ribbons and bows, a whisper of pink, dreamy layers of floral lace. Hair and makeup are kept sleek and simple, with smooth, swept back ponytails held by a ribbon and a darker lip for a nineties accent. Skin is soft and luminous with a subtle sheen of rose gold and lightly lashed eyes.